It's time for another round of fun and games - okay, practical jokes and pranks - with Bubu, Ron, Christopher, Anna, and Froga! 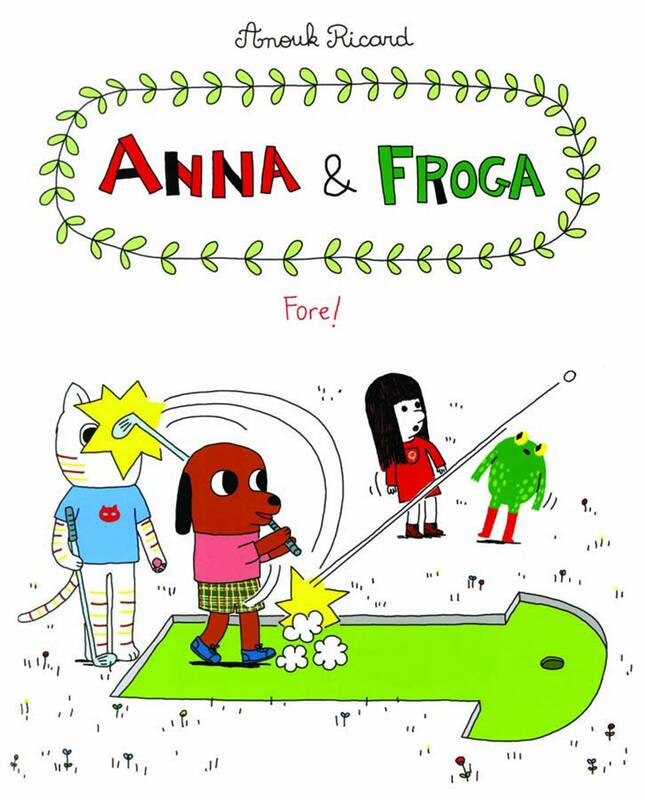 In Anna & Froga: Fore!, Christopher has a crush on someone in his piano class, Bubu sets out to prove himself an ace golfer, and Ron has a close encounter with a lifeguard. Anouk Ricard's bright and colorful illustrations make the world of Anna & Froga inviting and fun for kids, but adults also love the series for Ricard's charming character design and visual puns.